Agneta Andersson is Professor in Marine Pelagic Ecology at Umeå University, Sweden. She leads a research group working with aquatic microbial food webs, especially focusing on environmental drivers for protozoa-bacteria interactions. Andersson is scientific coordinator of a Swedish marine strategic research program – EcoChange - Ecosystem dynamics in the Baltic Sea in a climate change perspective. 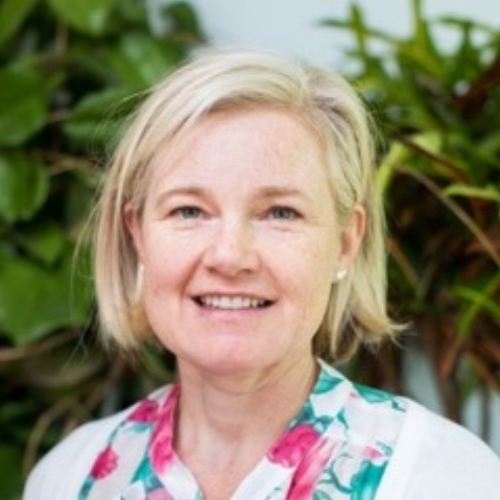 She has extensive national and international collaborations, and is board member of the Royal Swedish Academy of Sciences' National Committee for Global Environmental Change. I am a marine biogeochemist with a background in marine biogeochemistry and marine microbiology. My research interests are the coupled biogeochemical cycles of carbon, nitrogen, sulfur, and phosphorus in sediments and the water column of the Baltic Sea and the Arctic Ocean. My current work focuses on the biogeochemistry of the radiatively active trace gases methane and nitrous oxide, microbial nitrogen cycling processes, and the marine sulfur and methane cycles. We use autonomous benthic lander systems to quantify the sediment-water exchange of oxygen, carbon dioxide, nitrous oxide, organic and inorganic nutrients, and metals. In mesocosm experiments, we study the interactions between micro-, meio-, and macrofauna for the regulation of biogeochemical processes and the exchange between sediment and seawater. My analytical toolbox includes radio-and stable isotope labelling techniques, isotope mass spectrometry, microelectrode and optode sensors, gas and liquid chromatography, and molecular genetic methods. Our research investigates microbial communities in extreme environments and links their functional abilities to the (geo)chemistry of natural and engineered environments. The milieu we investigate include low pH and metal laden solutions connected to sulfidic minerals and soils, Baltic Sea anoxic sediments, and the extremely oligotrophic deep biosphere. The techniques used include high throughput nucleic acid sequencing to identify the microbial communities’ genetic potential and the active processes that are combined with geochemistry data to understand energy and nutrient utilization. My lab is dedicated to explore the vast uncharacterized microbial diversity using cutting-edge culture independent technologies, such as single cell genomics and metagenomics. Using second and third generation sequencing technologies, we aim at generating genomic data of novel bacterial and archaeal lineages, as well as of unchracterized protists. Apart from assessing the overall microbial diversity on our planet, we aim to gain insight in the evolutionary relations between between and within the Three Domains of Life. Of special interest is the archaeal Domain, which remains poorly chraracterized to date. In addition, I have a strong interest in reconstructing the emergence of the eukaryotic cell. Did eukaryotes originate via a cellular fusion event? And if so, which were the archaeal and bacterial fusion partners? Also here, we employ culture-independent genomics approaches to identify microbial lineages that might have played a pivotal role in this enigmatic event. Andrew Ewing received his BS degree from St. Lawrence University and a PhD from Indiana University. After a postdoc at the University of North Carolina he joined the faculty at Penn State University for 25 years. He is now Professor at the University of Gothenburg, Sweden, and Honorary Professor at both Nanjing University of Science and Technology and Beijing University of Science and Technology. Focusing on the neuronal process of exocytosis, Ewing and his group have pioneered small-volume chemical measurements at single cells, electrochemical detection for capillary electrophoresis, novel approaches for electrochemical imaging of single cells, and new electrochemical strategies to both measure release during exocytosis and the contents of individual nanometer vesicles in cells. They also pioneered the development and application of mass spectrometry imaging for subcellular and neurochemical analysis. Ewing has received the Charles N Reilley Award from the Society for Electroanalytical Chemistry (2013), the American Chemical Society Award in Electrochemistry (2013), the Norblad-Ekstrand Medal of the Swedish Chemical Society (2014), and the SACP Analytical Chemistry Award (2015). He was made a Knut and Alice Wallenberg Scholar in 2011 and again in 2017. He was elected to the Royal Swedish Academy of Sciences (class 4, chemistry, Nobel Class) in 2012 and to the Gothenburg Academy of Arts and Sciences in 2013. Themes: Understanding the nature of the chemistry in exocytosis; imaging cell and organelle membranes; measurements of nanometer cell structures and organelles; learning and memory. 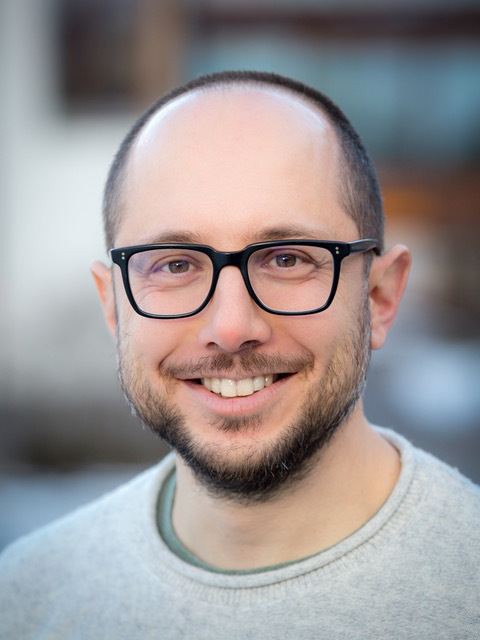 Associate Professor Daniel Globisch started his independent research group in September 2015 at Uppsala University as a Science For Life Laboratory Fellow. He is investigating the metabolic interaction between microbiota and their human host using metabolomics. Daniel defended his PhD thesis in Organic Chemistry in 2011 at the Ludwig-Maximilians-University in Munich using mass spectrometric quantification to investigate modified RNA and epigenetic DNA modifications. He then joined The Scripps Research Institute in La Jolla, USA working on bacterial quorum sensing and he discovered a biomarker for river blindness. My research focus on the diversity, functionality, and ecological importance of viruses that infects microorganisms in different aquatic environments. Viruses are the most abundant biological entities on earth and through host specific infection and lysis they modulate food-web dynamics. In addition, viruses can change the hosts’ functionality through expression of viral metabolic genes and regulation of host gene expression. Through experimentation and the use of different ‘omics tools I am unravelling the unknown diversity and functionality of viruses through investigation of both cultured model systems and viral communities. I am a Professor of Coastal Biogeochemistry and Scientific Director of the Baltic Sea Centre, Stockholm University, Sweden. One main research focus deals with eutrophication issues of the Baltic Sea and its catchment. We address nutrient pathways in various watersheds and estuaries of the Baltic, investigate large scale phosphorus and oxygen dynamics in the Baltic Sea and estimate the environmental status of the Baltic. Our team was involved in the formulation of the Baltic Sea Action Plan. I coordinated and currently participate in several EU BONUS projects dealing with environmental issues of the Baltic Sea. Within the Baltic Eye team I act as the scientific supervisor of the various projects. Moreover, I am involved in international studies on carbon dynamics in high latitude watersheds and estuaries and along the entire Siberian Shelf with focus on riverine carbon transports, water column carbon dynamics and GHG emissions. My research aims to better understand what drives microbial biodiversity across space and time and what consequences this has for the magnitude and stability of ecosystem processes. Specifically, my research addresses relationships between biodiversity and ecosystem functioning, disturbance responses and community assembly processes in freshwater bacterial communities. My work combines field work as well as experimental approaches, such as microcosm experiments with complex natural bacterial communities and mesocosm and whole ecosystem manipulation experiments including the entire microbial food web. The biodiversity of bacteria is unusual, a fact that has been shown recently with the evolution of new genetic methods. We now know that the composition of bacterial communities varies over time and space, but we do not know why or if this has any bearing on the role of bacteria in ecosystems. In other words, we lack basic knowledge about bacterial ecology, and we do not know if they are fundamentally different from other organisms. I want to find out! Per Malmberg at the department of Chemistry and Chemical Engineering, Analytical Chemistry, Chalmers University of Technology, has long time experience with mass spectrometry and isotopic analysis. His specialty is analysis and imaging of nanoparticles, metals and proteins and peptides in biomatter. Dr. Malmberg is director of the chemical imaging infrastructure at Chalmers and University of Gothenburg with access to NanoSIMS, MALDI and TOFSIMS instruments. In a recently VR funded project he has been working on developing methods to understand the role of zinc in neuronal communication and have been developing methods for determining mineral cell storage of trace-elements that will give unique insight into this project. Dr. Malmberg is part of the MS-imaging groups at Chalmers and Univ. of Gothenburg that have been bringing SIMS imaging to questions of single cell analysis for nearly 10 years. They have specifically pioneered measurements that the area of single cell and subcellular analysis. An exciting focus has been to approach chemical imaging with nanometer spatial resolution. Per is currently supervising 2 students and 2 postdocs. I am studying the microbial ecology in boreal and arctic lakes and ponds that are highly influenced by terrestrial carbon. My special focus is in organisms and mechanism producing and consuming greenhouse gasses and also in those remobilizing carbon from long-term storage, mainly from thawing permafrost. I am studying these from the perspective of climate change and how the alterations in environmental conditions may impact the carbon cycle and the involved organisms. I am combining molecular methods with biogeochemical and process analyses with the aim of getting a holistic picture of the interactions between organisms, processes and the environment. Aquatic microbial ecology has been the overarching topic of my research career. I have been working on deciphering the forces that shape aquatic microbial communities on all kind of aquatic environments from wastewater treatment plants to pristine freshwater springs, from lakes to small rock pools. I am currently working as an independent researcher at the Limnology programme of the Dep. of Evolution and Genetics of Uppsala University. My main research focus is understanding how the interaction of viruses and microbes shapes the microbial communities of inland waters. Besides research, I am engaged in science dissemination through the organisation of diverse outreach activities and I am involved in teaching in both graduate and undergraduate courses. Prokaryotes lining in natural environment are often exposed to famine leading to low growth rates. For aquatic bacteria this has been shown to impose a higher share of maintenance energy. This will lead to a different control of aquatic respiration relevant for ecosystem effects like development and management of hypoxia. For the prokaryotic cell the higher energetic need for maintenance activities may include foraging for nutritious substrates, synthesis of storage material of elements in excess, chemotaxis and also energy spilling reactions. What activities that are causing the elevated maintenance respiration is unknown and therefore the ecological fitness it provides. Dominating activities is also possibly varying with environment and prokaryote. Survival and foraging for nutrients at famine conditions is probably the most common living conditions for prokaryotes in the Ocean. This growth state is therefore crucial to understand in the context of bacterial ecology on Earth and global energy and carbon flows. We address the overall questions 1) what metabolic activities or morphological transformations cause the elevated maintenance respiration? 2) How do the maintenance respiration provide an increased fitness for the prokaryote? 3) Are prokaryotes prone to enhanced genetic adaptation or evolution at famine and high maintenance cost? The activities and morphological transformations are studied in both continuous cultures and field samples. For the initial experiments, in house isolates from a sub-arctic estuary of the taxa Flavobacterium sp. and Marinomonas sp. are used. Prokaryotic growth rate is controlled by the dilution rate in continuous cultures, and measured by radiolabelled substrates in the field. Bacterial activity is investigated by measuring gene expression and elemental ratio shift by electron microscopy with energy-dispersive X-ray spectroscopy (SEM-EDS). Respiration is measured by optodes using dynamic luminescence technique. The work is conducted at Umeå Marine Sciences Center and on board research vessels at Sea. This basic science project is also connected to bioremediation of polluted coastal recipients and the use of bacteria as indicators in environmental monitoring and management. Key words: prokaryote, maintenance, respiration, metabolism, fitness.